I couldn't resist trying my hand at some reboots. I used my Guardian Omega as a basis and worked from it. pasting whilst adding to it, but I decided to draw them from scratch, using old images as references. Holy crap, these are amazing! These are fantastically intricate. Are the hull plate details hand drawn or do you have another method? Very beautiful ships.Lots of hull details. I am very impressed by the quality of your drawings. Amazing. Especially the Olympus and Hyperion. TY. 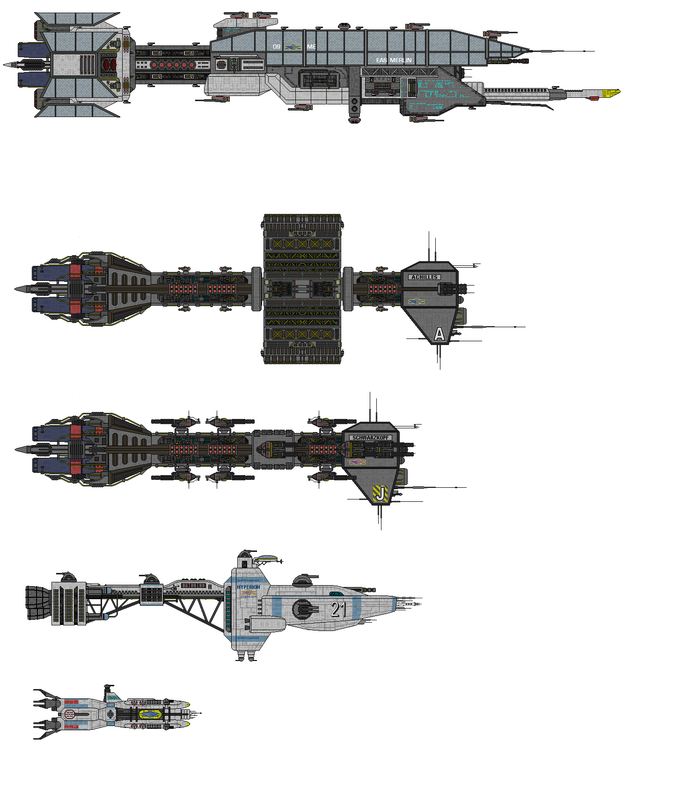 I am trying to do an Explorer class, so be warned - EXTREMELY LARGE IMAGE on the way lol! WOW these are awesome, wallpaper! Keep it up broski! This... was... an ordeal!!! This post contains a smaller view to see and actual size compared to other reboots.